In this article, we’ll take a look at the differences between LVT and VCT flooring, and how to make the right choice based on the requirements of your refurbishment. If you’re a designer or a contractor, you’ll already understand the importance of choosing the right commercial flooring for your project. However, you may not be aware of the differences between luxury vinyl tile flooring (LVT) and vinyl composite tiles (VCT). Both offer different benefits, particularly when durability and budget are huge considerations. While there are similarities between LVT and VCT flooring, before we compare the two it’s important to understand that while they are often used interchangeably, in truth they differ greatly in terms of design, materials and performance. 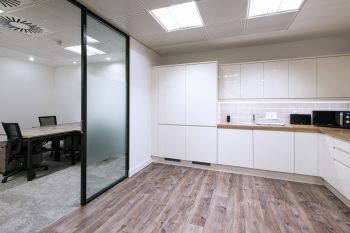 Photo technology has advanced hugely in recent years, which means that LVT manufacturers are now capable of realistically producing the natural look of stone, wood or practically any other finish you can think of. On the other hand, VCT is typically considered as a “common” commercial flooring solution. To this end, it’s confined as far as design possibilities go. There are limited pattern and colour options, which means it’s harder to get a bespoke finish unique to your premises. Which choice is more durable? When considering the stability and durability of LVT and VCT, it’s worthwhile to consider the composition of each solution – but you should also assess the amount of foot traffic you expect the floor space to receive. Of the two, VCT is more susceptible to moisture penetration. If you’re opting for VCT, it’s therefore important to apply a sealant before allowing clients and customers to walk on it. On a wet day, you can expect people to be bringing plenty of moisture into the room on the soles of their shoes, which is why it’s vital to regularly maintain and polish VCT. Over time, VCT commercial flooring needs stripping and resealing, too. 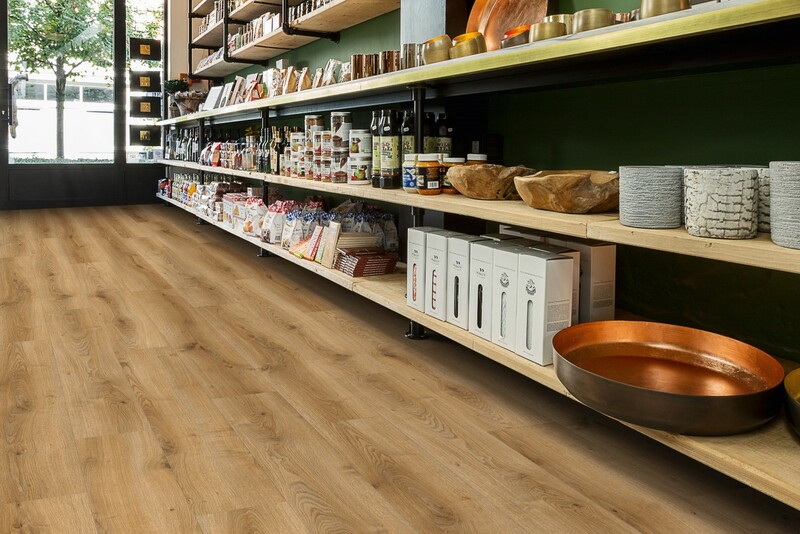 LVT is completely made from vinyl, which stands it in good stead as a durable and flexible commercial flooring choice. As a non-porous solution, LVT is ideal for areas which are susceptible to moisture, and it doesn’t require waxing. For high-traffic areas, it’s possible to use varying LVT thicknesses to tailor individual locations for high use, to avoid wear-and-tear (think retail environment as just one example – choose an appropriate wear rating). Before committing to a choice, it makes sense to research where VCT or LVT has been used in similar renovation projects. 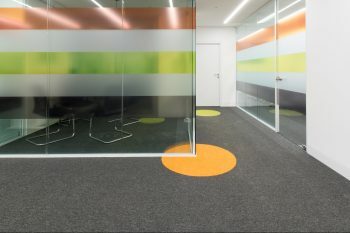 Both are low-cost commercial flooring solutions, although some industries favour one over the other. 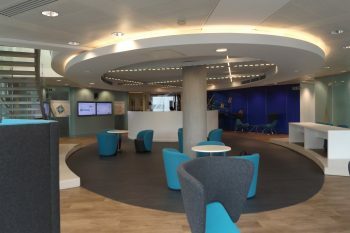 For example, VCT is often used in the public, health and education sectors. It’s a low cost and a fairly low maintenance solution. LVT is typically found in corporate offices and retail environments. It offers a wider scope for design and is versatile enough to be used in multi-use spaces. If you’re uncertain of whether to opt for vinyl composite tiles or luxury vinyl tiles in your current project, it might be worthwhile explaining the differences to your client. Alternatively, why not contact us? We’ll be happy to discuss your requirements in further detail and help you make an informed decision.